Pay using your smartphone and credit card. The ParkNow App shows all nearby parking locations. Select the perfect parking spot based on location or parking tariffs. If your perfect parking spot is on street then simply buy time, or start and stop your parking. Or find ann off street car park, enter and exit when your stay is over. Either way, make sure your vehicle details are correct, as this is how we recognise you have paid. Want to extend? Need a receipt? You can top up parking and print off your session details through the App. 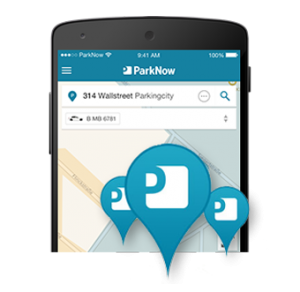 Enjoy an easy and hassle-free parking experience by using the ParkNow app. Look out for new and innovative features as they are added to the app! 100% secure, proven and dependable. All available and planned locations are waiting for you here.